Muskego High School Improvement Study - TADI - Traffic Analysis & Design, INC. Muskego High School Improvement Study - TADI - Traffic Analysis & Design, INC.
TADI's Role: Provide an ICE, traffic and safety study with recommended improvements as well as traffic signal design for Waukesha County and City of Muskego approval. TADI performed traffic engineering services as part of the reconstruction of the CTH Y and Woods Road intersection. 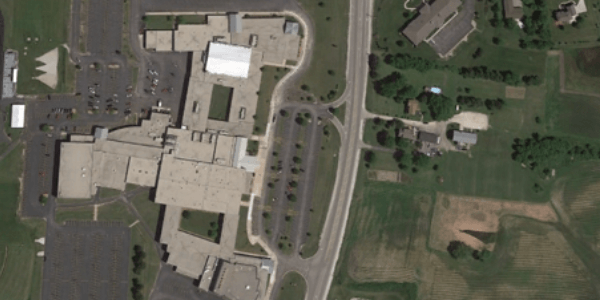 An important aspect of this project was the close proximity of the intersection to Muskego High School and a senior living complex on the other side of the intersection. Thus, the intersection needed to safely and efficiently accommodate higher volumes of pedestrians, bicycles, buses, along with a teen and older driver population mix. The intersection also needed to accommodate peaking of traffic during the beginning and ending of school, and during special events.